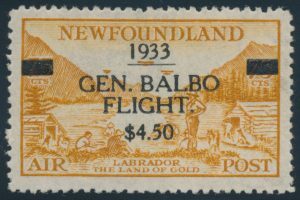 Lot 381 Newfoundland C18var 1933 $4.50 on 75c bistre Gen. Balbo Flight surcharge with inverted watermark, mint never hinged, well centered and very fine. Accompanied by a 2014 Greene Foundation certificate. Unlisted in Unitrade, catalogue value given is for Stanley Gibbons #235w for hinged, described as “Wmk top of shield to left”. An elusive stamp, missing from most collections. 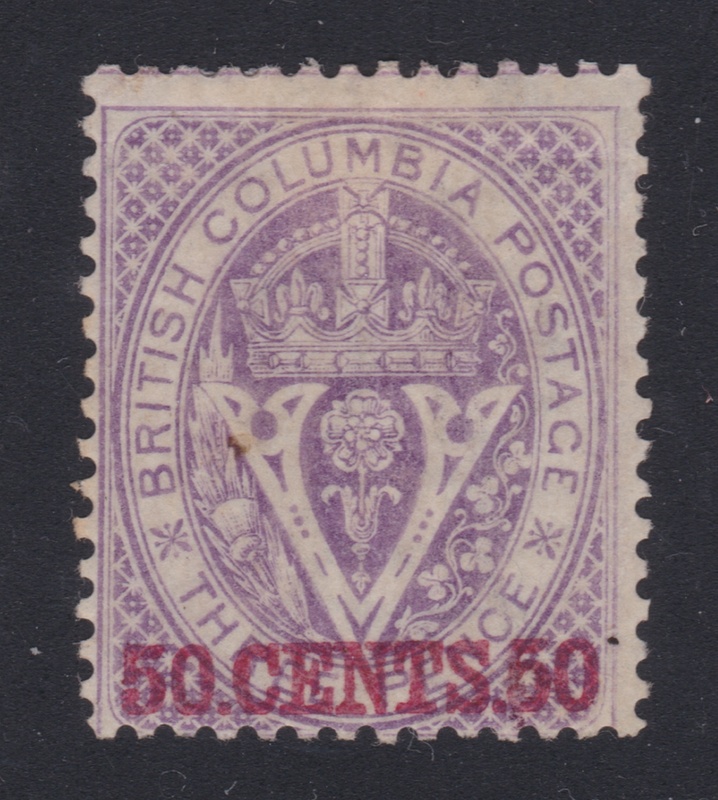 SG £2,000, sold for C$1,800 plus buyer’s premium. 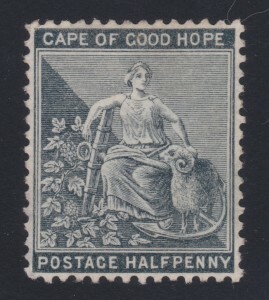 Lot 930 — 1886 half penny grey black Cape of Good Hope, inverted watermark, n.g. 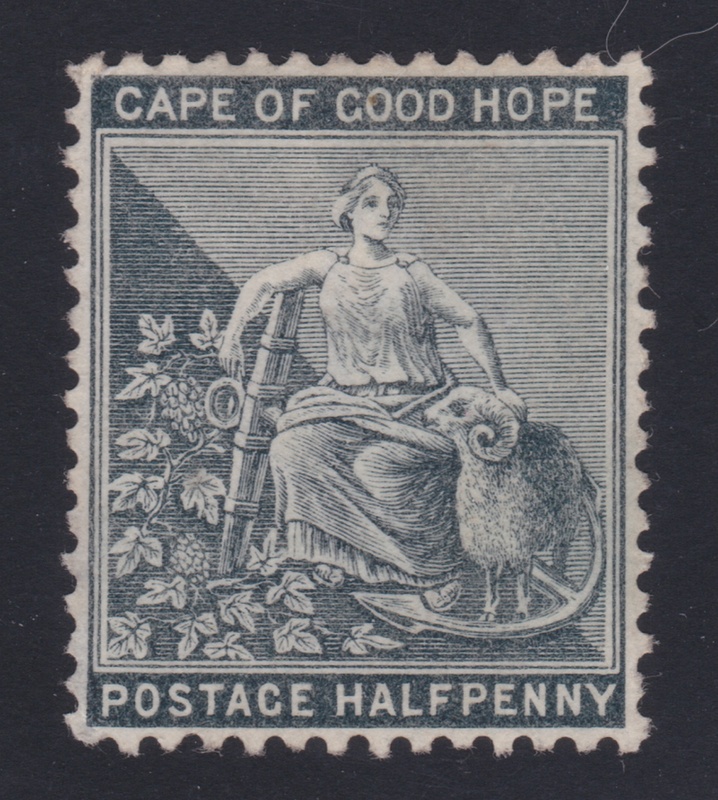 Lot 930 Cape of Good Hope #41var 1886 ½d gray black Hope with Inverted Watermark, unused (no gum), and very fine. SG #48w catalogues at £550 used. 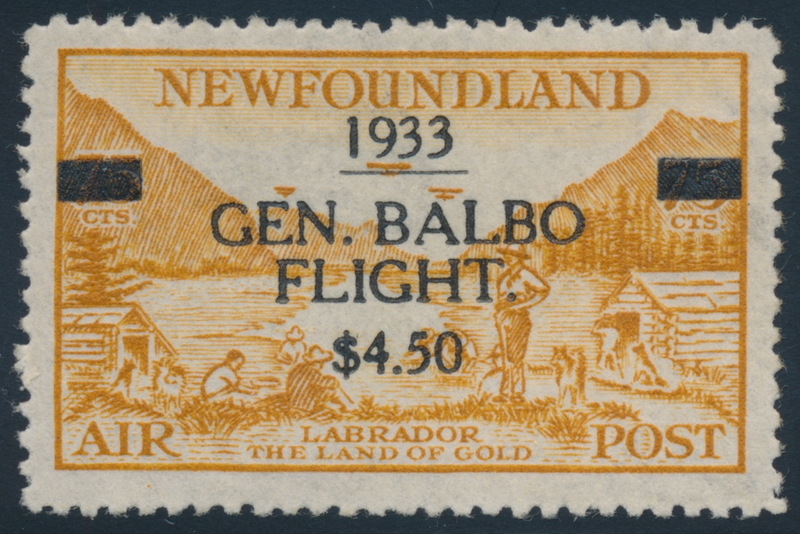 From the Stanstead Collection. SG CV£550.